Steel twin-screw motor vessel built in 1972 at Hatlo Verksted A/S, Ulsteinvik, Norway (Yard No 46), for A/S Larvik – Frederikshavns Linien, Larvik, Norway,as a Ro/Ro freight vessel. Capacity: 12 passengers, 25 x 40 ft freight vehicles plus 25 cars or 170 cars or any combination of lorries/trailers and trade cars. 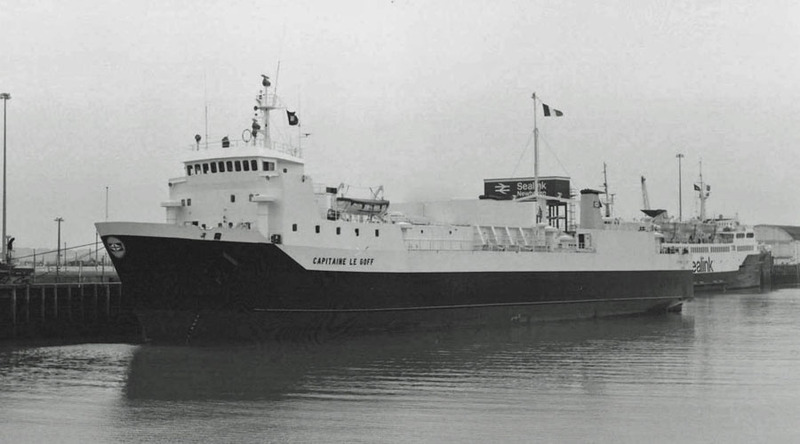 Registry: Dieppe (Capt Le Goff), Valletta/Malta, Saudi Arabia, Comoros. 1972: She was built as ADMIRAL CARRIER I for Larvik-Frederikshavn Linjen, Larvik. 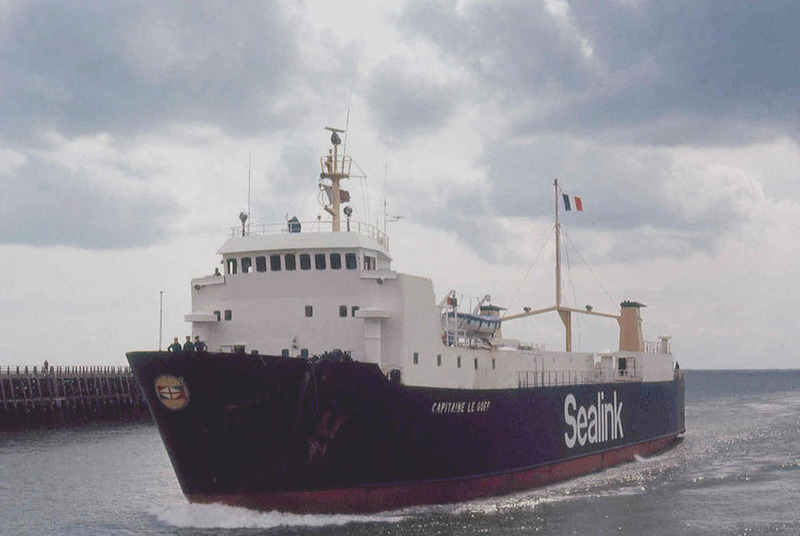 May 25th 1972: Launched and immediately sold, during construction, to Locafrance Service, S.A., Dieppe (part of S.N.C.F.). 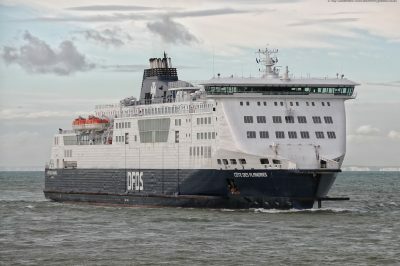 Renamed CAPITAINE LE GOFF. 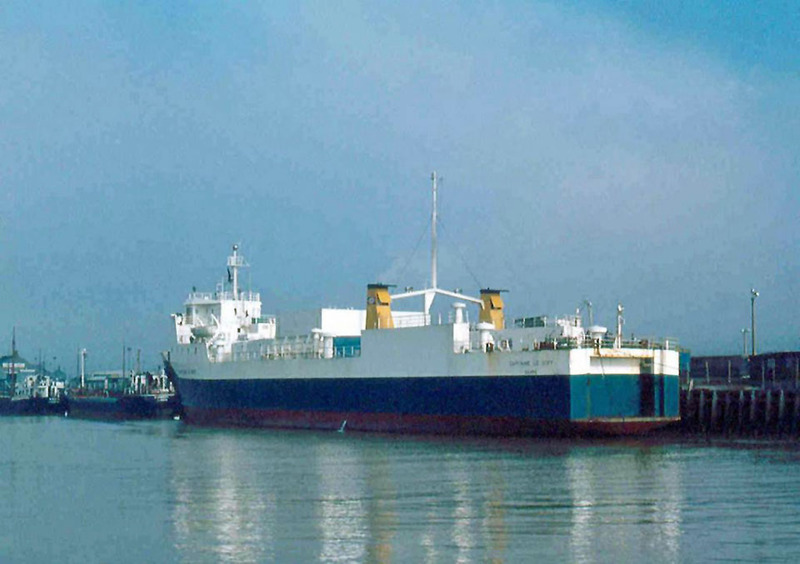 July 27th 1972: Maiden arrival at Newhaven. “Trials were carried out and it was hoped that she would enter service three days later. Problems during trials showed that modifications to the stern were required after which a dispute with the crew over manning arrangements delayed her second visit.”. 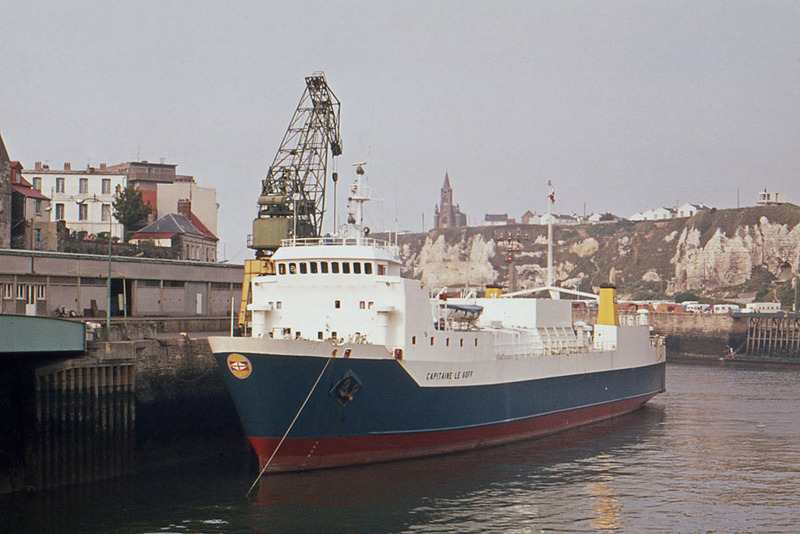 August 8th 1972: Introduced between Newhaven – Dieppe. 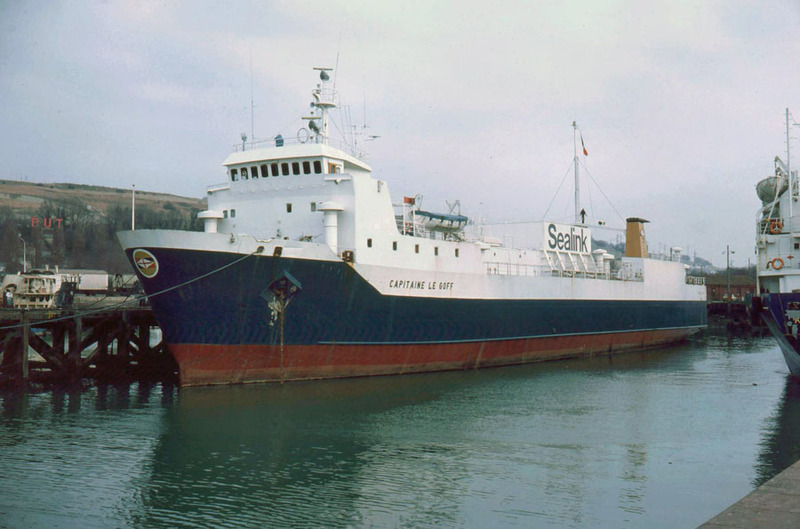 January 1975: Reactivated to operate extra sailings until the SENLAC arrived back from Middlesbrough on 22nd February. 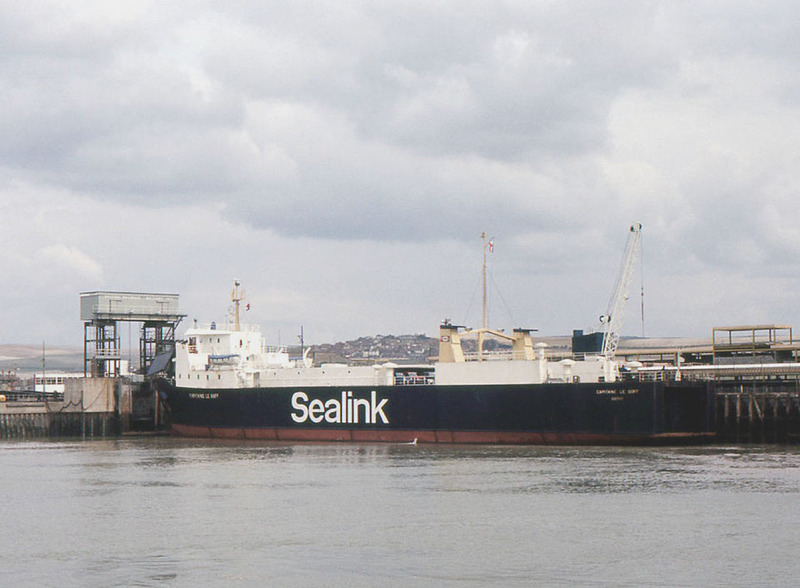 April 1st 1975: She was caught in Newhaven at the Sussex port owing to a 24-hour strike by fishermen at the port. 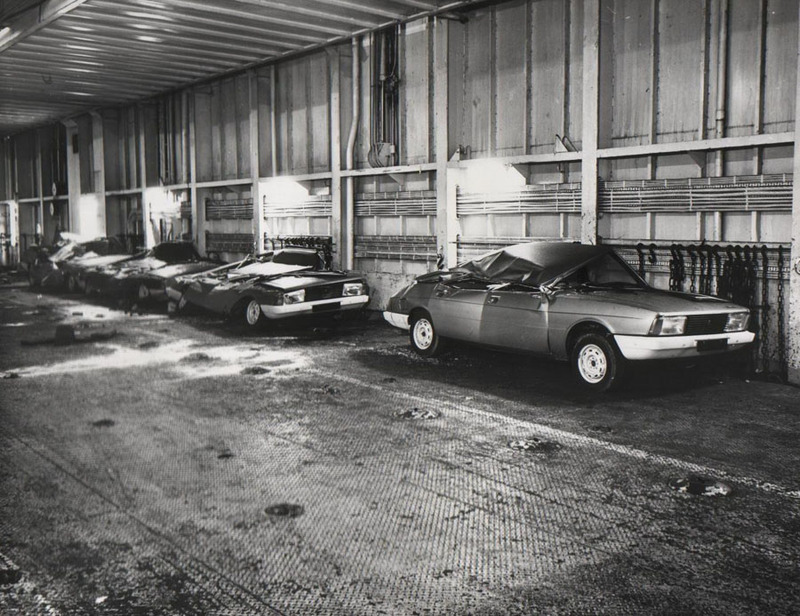 January 1978: “Limped off service with a major engine failure, reappearing February/March to assist in preventing the freight and import cars backlog at Dieppe. 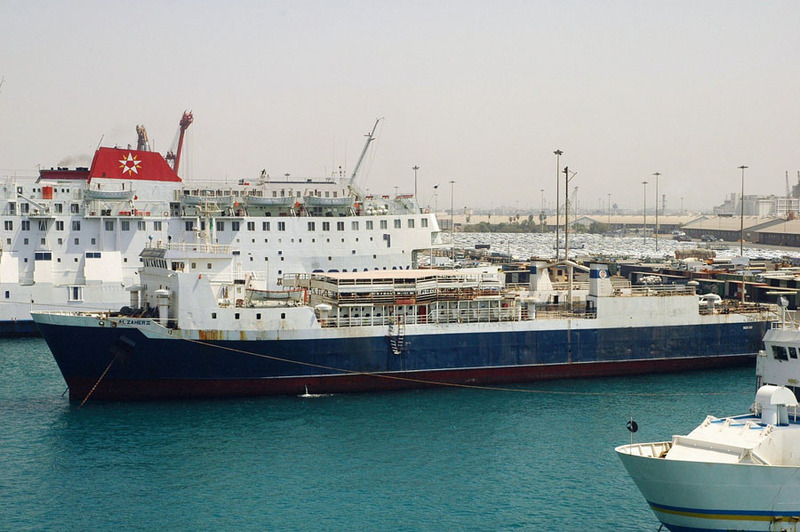 March 1981: Sold to Ahmed Mohammed Baaboud & Co, Jeddah and renamed AL ZAHER II. 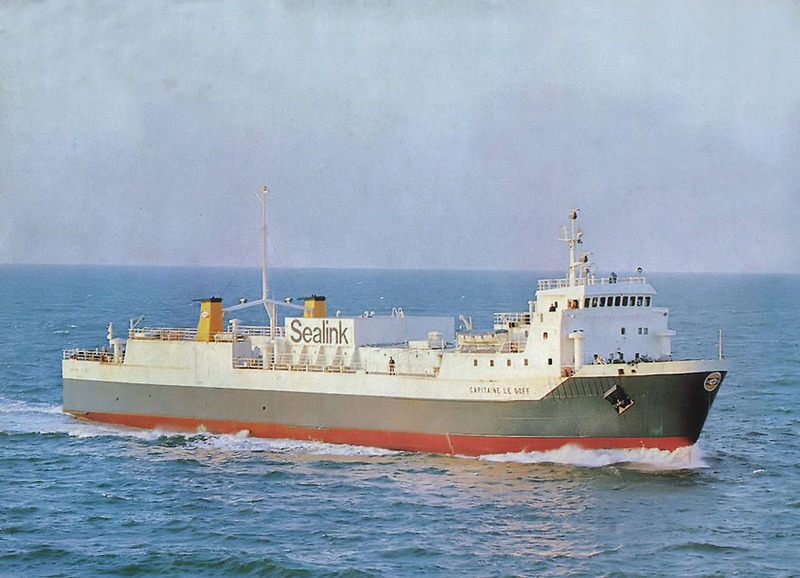 January 1982: Operated between Jeddah and Port Sudan. 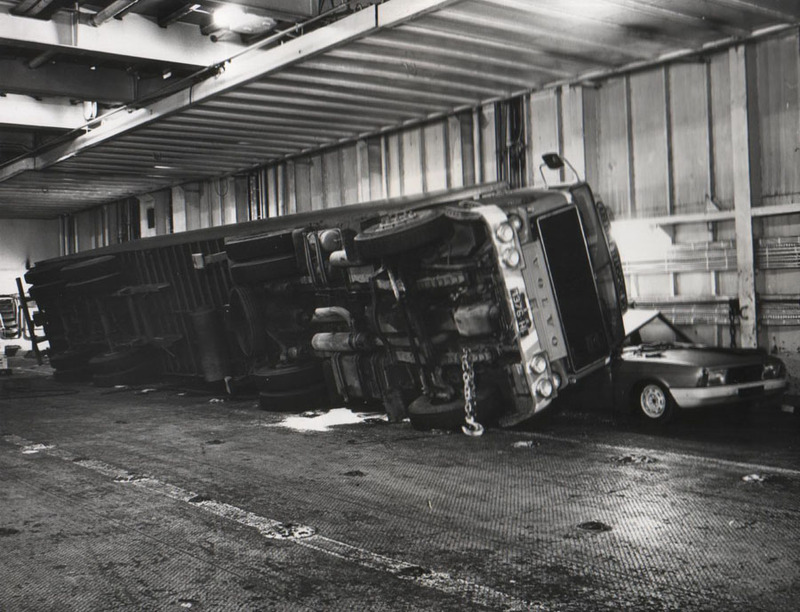 April 1982: Reportedly ran aground. 200? : Transferred to Maltese flag, home port Valletta. April 5th 2004: Transferred to Saudi Arabia flag. October 24th 2005: Transferred to Comoros flag. We would like to thank: Tony Garner, Andrew Gilbert, A G Jones, Ted Ingham, Derek Longly, Marcin and Andreas Wörteler their assistance in producing this feature. All information is believed to be correct and no responsibility is accepted for errors and omissions.